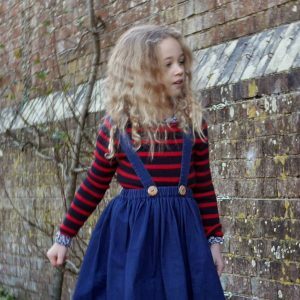 Classic 70’s style navy mariniere jumper for girls with red stripes made in merino wool. Regular fit and crewneck design. 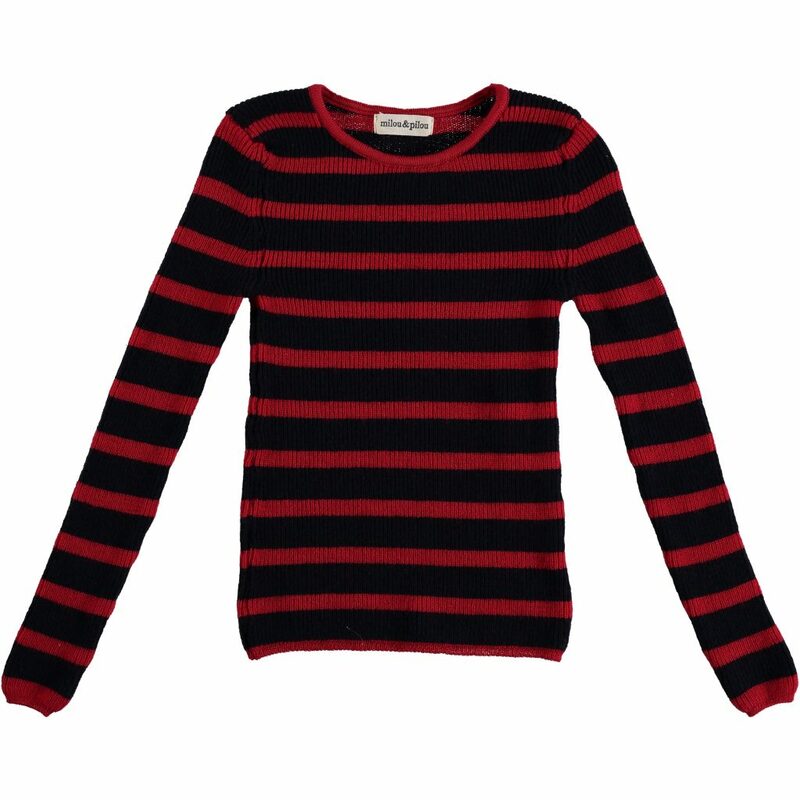 This is the perfect breton fisherman sweater with a retro look made in the perfect yarn. 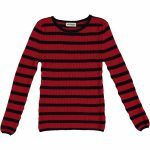 Soft and cosy looks great with any look. 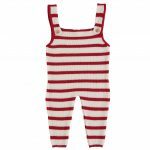 Easy to wear, the french marinere it is a must-have in every girls wardrobe. 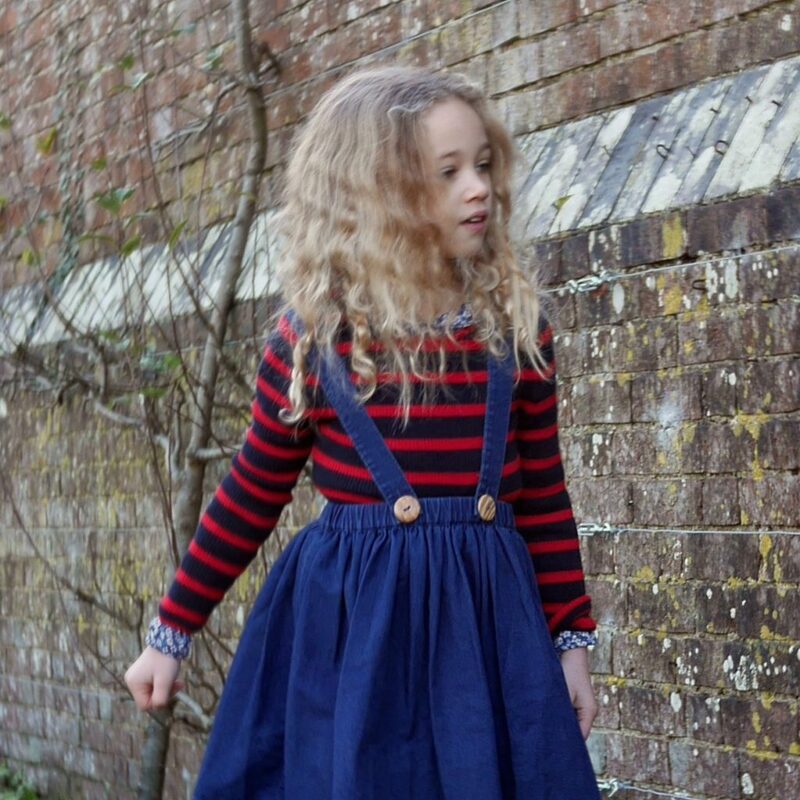 Classic 70’s style navy mariniere jumper for girls with red stripes made in merino wool. Regular fit and crewneck design. This is the perfect breton fisherman sweater with a retro look made in the perfect yarn. Soft and cosy looks great with any look.